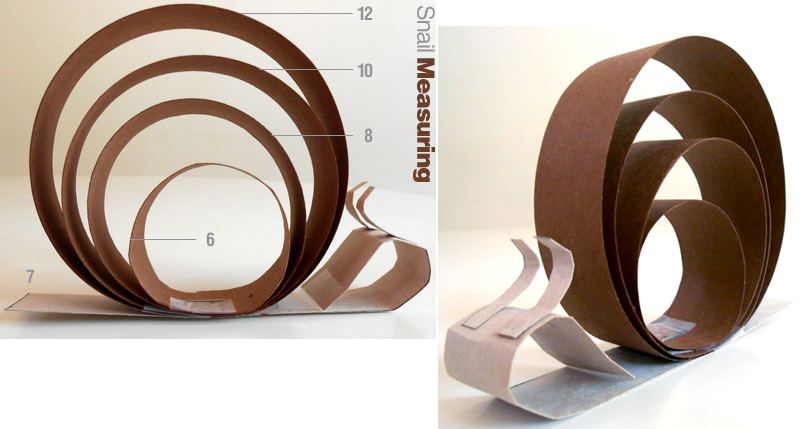 This project is inspired by "curled paper snails" from the book Sunset Kid's Crafts - 1973. Kids cut 1 inch width strips of construction paper. Kids roll their paper strips to create a shell. They roll a head on their 7 inch strip. Then, they cut tentacles (feelers) for their snail. Staple the rings to the body, glue on the tentacles, and you have a paper snail! To incorporate this into an animal adaptation unit, have kids create a mucus trail out of glue! Create a trail on wax paper, let dry, and peel. Visit FossWeb for more interesting facts!